Event Sourcing is a powerful technique to unlock a lot of potential in a domain. It also provides for a lot more modelling freedom than some of the more 'traditional' approaches of storing state. However, it also brings a lot of small inconveniences that we aren't used to dealing with from an Event Sourcing perspective. In the conference presentation, Allard Buijze shed some light on the most commonly encountered challenges of Event Sourcing and explained how to prevent or overcome them. Allard Buijze is the founder and chief technology officer at AxonIQ, a microservices communication platform for building event-driven, distributed applications, where he helps customers reach appropriate future-proof technical decisions. A former software architect within the fields of scalability and performance, he has worked on several projects where performance is often a recurring theme. 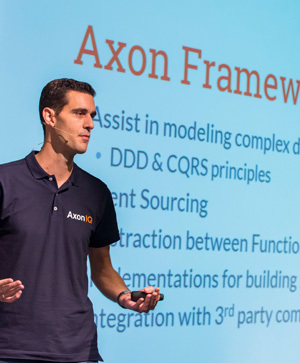 Allard is convinced that a good domain model is the beginning of contributing to the overall performance of an application and developed the Axon Framework out of this conviction.